Minimalist effort – maximum style. When it comes to knitwear, go for versatile every time. 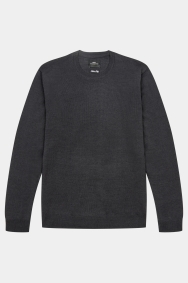 This jumper by Moss London is something you’ll get a lot of mileage from. Made in Italy from 50% merino wool, it’s warm and comfortable, and the charcoal tone means it’ll slot easily into any outfit. 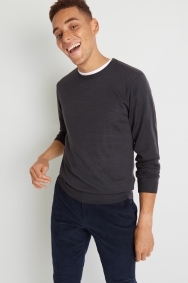 Its contemporary crew neck will keep your style on-trend, and it’s plain, so it’ll go with a range of trousers and shirts. 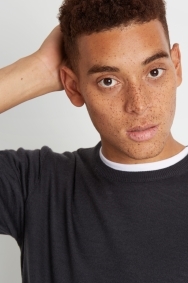 The charcoal tone makes this jumper great to pair with bright or classic colours. Team it with your favourite pair of jeans for a casual look, or with a crisp white shirt on smarter occasions.